The first thing that comes in mind when we talk about HMI (Human Machine Interface) and Human-machine interface example in Industry.HMI is a kind of interaction between human and machines As the name indicates that it is a communication between human and machine and not to be confused with the machine to machine communication. 1. How does HMI improve current systems? #1 How does HMI improve current systems? Thus it is basically a well-structured combination of hardware and software components which enables control, management and/or visualization of device processes and can range from providing simple inputs on a touch display to control panels for the complex industrial automation system. There are several other names for Human Machine Interface, such as Computer-Human Interface, Man-Machine Interface, Human-Computer Interface or Operator-Interface Terminal to name a few. 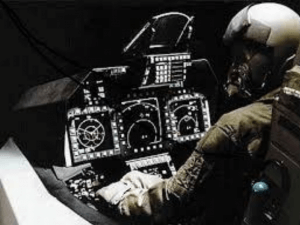 Now if we look to the area of applications of Human Machine Interface, we will come across several different industries where HMI is extensively used, such as military, healthcare, electronics, entertainment, aviation and much more. HMI can either be stand-alone terminals for a single machine or distributed for more larger and complex applications. 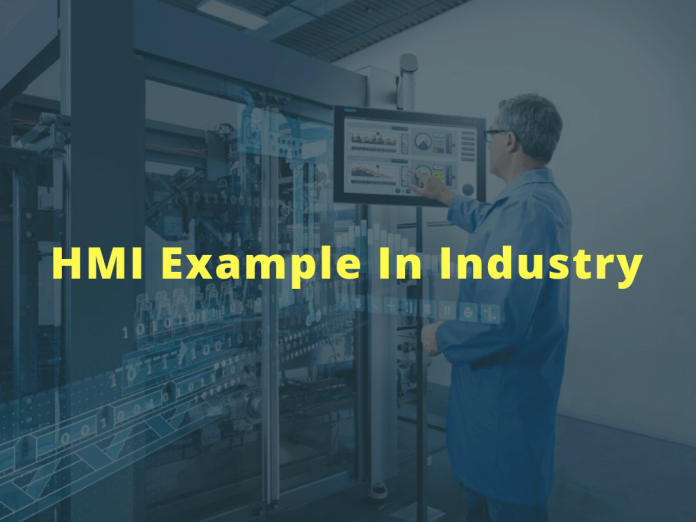 In industries they are often used for machine and process control, connecting machines, sensors and actuators from the plant floor to the systems such as I/O and PLC applications. 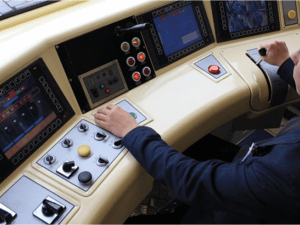 Typically, the Human Machine Interface (HMI) provides all users with the power to control as well as operate a system or machine with artificial intelligence playing a pivotal role. 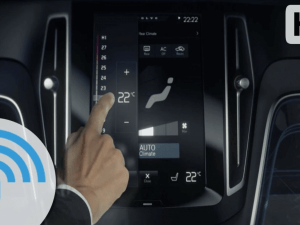 #2.Human machine interface example in Industry. With the advancement of the industrial automation system human-machine interface becoming a necessary component. 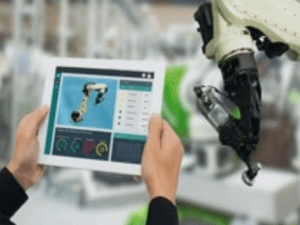 Two important human-machine interface examples in this respect are the human-robot interfaces in industrial robots and the human-machine interfaces in SCADA systems. In a robotics system is a terminal that allows the human operator to control, monitor and collect data, and can also be used to program the system. This kind of human-machine interface can be a computer screen, pendant consoles, spin buttons, and arm sticks. 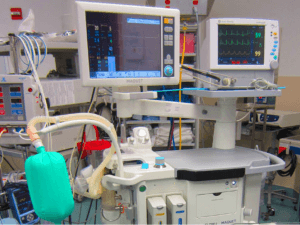 HMI is capable of doing wonders in the field of healthcare and medicine as well. This level of artificial intelligence can help to carry out several psychological studies on the human brain and other vital organs. Human Machine Interface plays a very crucial role in military and aerospace, where through technologies such as digital mapping, cross-domain guard data security systems as well as deployed systems for aerospace and defense applications, there is a better understanding the technical processes and machines rendered the desired officials. 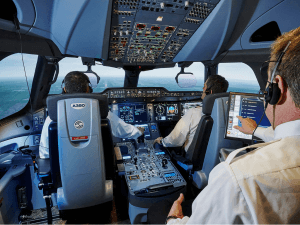 The demanding Aviator sectors require typically custom designed solutions include passenger control units (PCU) for control of seat position, entertainment systems, and gallery control panels, and other such as Multi-color backlighting, Call button, and much more.